Have no funds or no desire to pay for software for your print shop? We have a solution for you: a free print estimate program for print shops SPSM Free (Sevit Print Shop Manager Free). 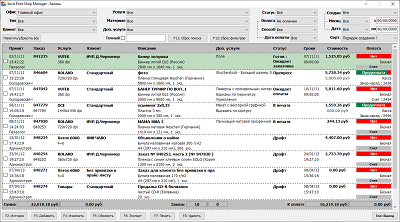 The free version of the SPSM software has some limitations, but it provides all the necessary features for automating daily operations of the printing business. Is digital printing your business? We have a solution for print shops using digital printing only – SPSM Digi (Sevit Print Shop Manager Digi) – a special version of SPSM, which covers digital print orders and non-print orders (such as sale of related goods and services). For the printing business specializing only in large-format printing, we offer SPSM Wide (Sevit Print Shop Manager Wide). This version of the SPSM program allows you to manage large-format printing orders and non-print orders (such as selling related products and services).